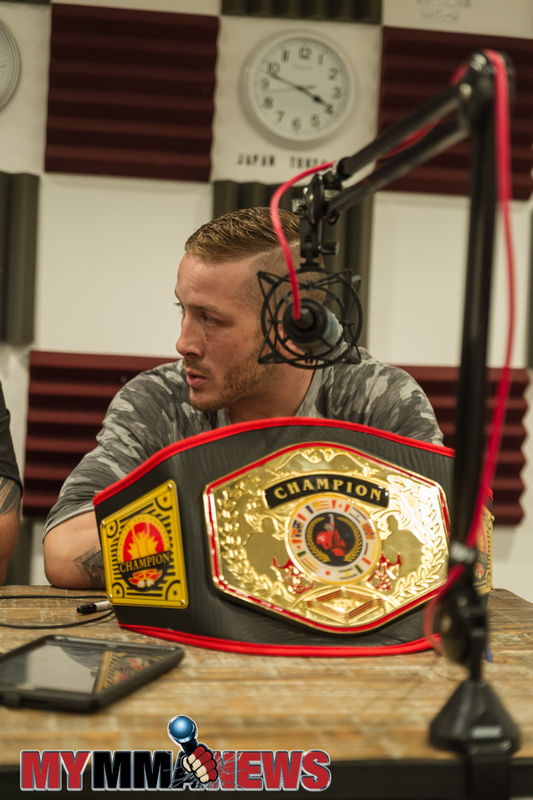 This week on MyMMANews Radio we were joined in studio by Maverick MMA featherweight Scott Heckman. “The Animal” was less than 48-hours removed from a second split decision win over Rob Sullivan. The September 30 fight took place at Maverick MMA 3, held at the Sherman Theater in Stroudsburg, PA. The same venue and promotion hosted their first pairing back in July. Heckman talks about the extremely close and narrow victory and what his intentions are moving forward. The standout 145-pounder who recently returned to MMA action after a brief stint in retirement also talked about his start in the sport. Beginning with wrestling in Kindergarten, Heckman transitioned in a well-rounded fighter who would earn a championship with Cage Fury Fighting Championships. Together, Heckman along with hosts Eric Kowal and A.J. Hiller review the Maverick fight card top-to-bottom. We also review upcoming the upcoming Bellator 184 and UFC 216 fight cards. Tune in to hear it from the man himself, Scott Heckman. Find out how he believes Saturday night’s fight went down, when he wants to fight next, and exactly who is on his radar if anyone. Next Duane Shields doing work in cage at Art of War 3, even better work outside!